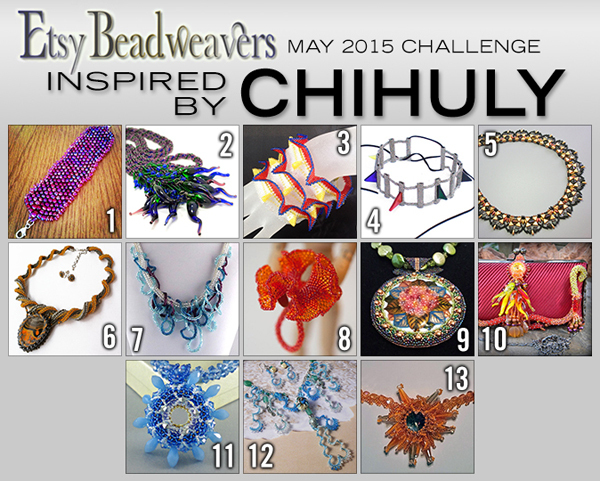 Here are the entries for this month's "Inspired by Chihuly" challenge! VOTING WILL BE OPEN UNTIL 5/16. Please choose your favorite entry from the images or links below, then select your choice in the blog poll on the right sidebar. Click on the images or links below to learn more about each entry and see larger, detailed images of each piece. EBW Team June 2015 Challenge "Game Of Thrones"